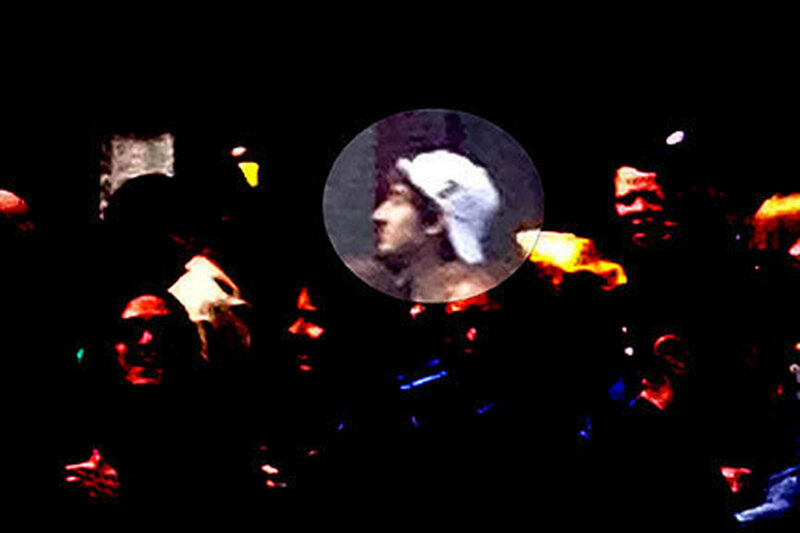 INVESTIGATION: The FBI released images  of two men who they say are suspects in the bombing of the Boston Marathon that left three people dead and injured about 180. DesLauriers said one video shows a man wearing a white baseball cap dropping off a bag in front of the restaurant, which was the site of the second explosion. The FBI released images and video of the men and they are asking for the public's help identifying them. The images they released appear to come from surveillance cameras along the marathon route. They show two young men wearing baseball caps. Both of them appear to be wearing hoodies underneath black winter coats. Both of them are also carrying backpacks. In the video, the man wearing a white cap is seen walking closely behind the man wearing a black cap. DeLauriers did not release any other details of the investigation, because he said identifying and capturing the suspects is "our highest priority." At the website of the FBI's Boston bureau, officials have posted this appeal for help: "If you have any information that could be of assistance, please call 1-800-CALL-FBI (prompt #3). No detail is too small." He said no member of the public should try to apprehend the suspects because they are assumed to be "armed and extremely dangerous." EMERGENCY DECLARATION: "President Obama has signed an emergency declaration for the state of Massachusetts — a move that frees up federal funding to help with crisis management," WBUR writes . INTERFAITH SERVICE: At service Thursday morning in Boston's Cathedral of the Holy Cross, leaders from a cross-section of faiths spoke about the horror of the bombings — and the heroism and selflessness of those who rushed to help. President Obama, who assured the people of Boston that the nation stands with them and said to those responsible for the attack that "we will find you," was there with first lady Michelle Obama. Mitt Romney, the 2012 Republican presidential nominee and a former governor of Massachusetts, is in attendance. We've put a copy of the program for the service below .